With the help of fresh opportunities, including an increase in farmers markets and retailers such as Heinen’s and The Wine Spot offering up shelf space, Cleveland's fast-growing craft food companies are a perfect complement to our food scene and a success story in their own right. That success is fueling a cottage industry of rentable spaces like Cleveland Culinary Launch & Kitchen (CCLK), which provides a support system for up-and-coming businesses and earns revenue from leasing. By partnering with the Economic and Community Development Institute (ECDI), CCLK has offered incubator classes to teach budding chefs the ropes of running a small business. In recent years, we’ve seen startups like Mason’s Creamery, Fear’s Confections and Chill Pop Shop open storefronts or production spaces -- and that's just the tip of the artisan iceberg. 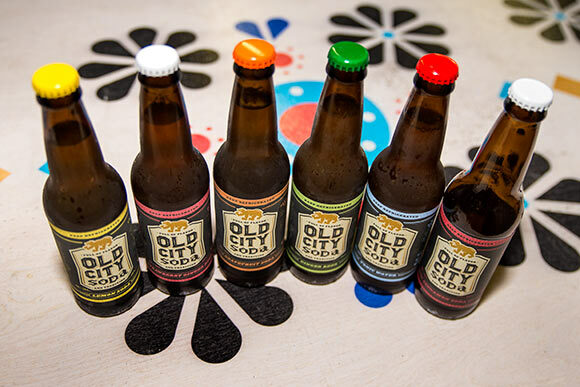 Old City Soda is satisfying sweet cravings across the city with its new production facility in Tyler Village. Brewnuts outgrew CCLK and now resides in a successful incubator space in Tremont. 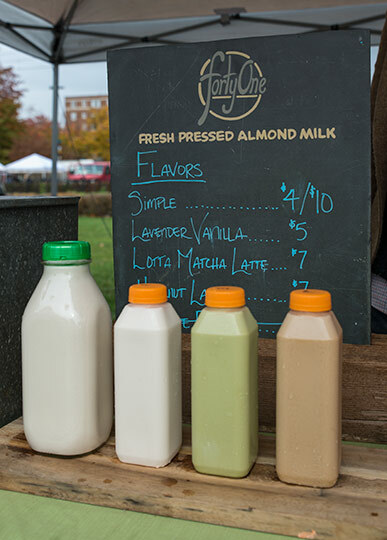 The demand for forty.one’s dairy-free milks propelled the company into a brand-new Ohio City kitchen. Being an entrepreneur is more than a full-time job. Many local startups become sidelined by lack of capital, leaving them to founder as they search for investment, try to navigate legalities and attempt to ramp up production on their own. Fresh Water recently caught up with seven craft food businesses gaining notable momentum for first person accounts of their highs and lows. Bartender-turned-soda maker Mike Gulley knew what accompanied a good cocktail when he decided to create his own line of the bubbly potion. He recently converted a Tyler Village woodworking shop into a production facility, where he plans to ramp up manufacturing and add additional staff beyond his family-assisted operation this winter. He produces 30 cases a week of his craft pop, the most popular flavors being ginger beer and grapefruit. Currently, Old City Soda can be found in twenty restaurants. By the end of the year, Gulley hopes to expand to retail shelves and average 100 cases a week. How have you built off the local food movement? Six years ago I decided to quit my full-time job in title insurance when I saw the swing Cleveland was going to make in these areas. There was a growing interest in anything craft -- whether it be beer, spirits, or cocktails – and I wanted to be part of that. Quitting meant learning my own craft at the highest level and looking to change the rules a bit. Craft sodas are such a new market, especially the style we are doing with all natural fruit juices and no preservatives, so the concept in a way is innovative on its own. Fulfilling so many roles by myself. I wear several different hats each day, moving between soda maker, bottler, sales rep, delivery man, accountant, social media dude, receptionist, and at the end of the day, the dishwasher. 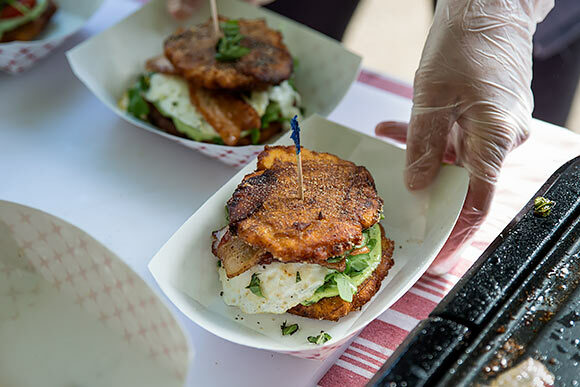 Creatively topping plantains with everything from smoked salmon to spicy slaw, Brittany Gonzalez and Alicia Candelario can be found peddling their take on the Latin staple at markets and bars, namely Platform Beer Co. and Jukebox. They use CCLK to sizzle up the sweet fried beds, which come from a distributor in their hometown of South Lorain. The delightful toppings are from the West Side Market. In their short year of operation, they’ve already added one additional employee. This is our first foray into the food space, so there has definitely been a learning curve. But fellow food vendors and local restaurant veterans have been so supportive by helping us navigate things like health permits, licenses, and sourcing supplies. What keeps your products innovative? We’ve taken an old-school Puerto Rican staple and put a new spin on them. We’re serving them in ways they haven’t been served before – constantly playing with different ingredients and flavors. Nothing makes us more excited than when someone experiences plantains for the first time. Looking to offer vegan alternatives at coffee shops around town, Hunter Harlor began sourcing almonds from the Hillson Nut Company for his dairy-free milks. 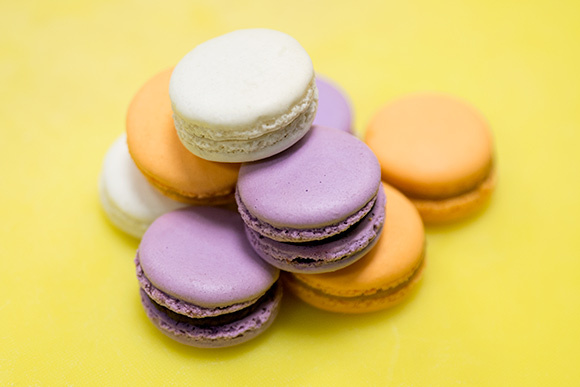 They range from traditional fare to flavors like lavender vanilla that are created collaboratively with local growers. Though forty-one began as an at-home operation, Harlor has found his milks so in demand that he recently moved to a more spacious kitchen in Ohio City. Is Cleveland a good place to be doing this? Our customers are amazing and many of them are really passionate about eating locally, with an eye on sustainability and ethics. I think for local food to be truly relevant, it has to matter to the everyday consumer. Cleveland is making great progress in showcasing what Northeast Ohio has to offer, but as a society, we still have a long way to go to really embrace the way of life that comes with eating and shopping local, myself included. Figuring out how to scale our business without huge capital investment. We haven't had a lot of money to throw into this business starting out, so we don't have large equipment or automated bottlers. Every batch is made in one gallon increments and bottled by hand. 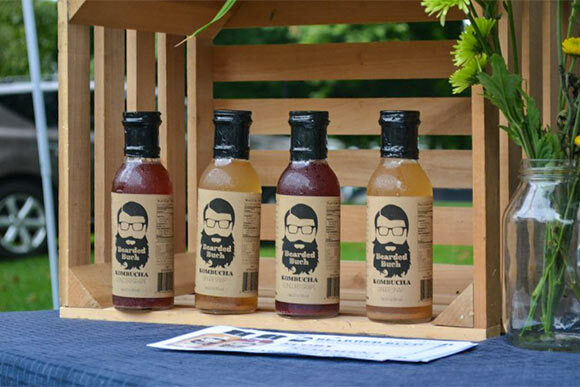 Andrew Rainey quit his full-time job in Columbus to move to Cleveland and pursue his pickling aspirations, but his products are finally reaching as far as his past turf in addition to venues such as Grace Brothers Farm, Garden and Pet and other grocers around town. When they’re not jarring up their popular traditional varieties, they’re known for experimenting with locally-sourced ingredients at their CCLK home base. Everything from blueberries to mangoes are fair pickling game, and they can garnish cocktails, ice cream and oatmeal. “We’re making those crazy ideas happen,” says Rainey. Did it look like this five years ago? The city is vibrant now, it’s hustling and bustling. You see more and more people these days wanting to live close to downtown because of its neighborhoods that are just enshrined in food. How does working with other businesses impact your work? The local food movement here in Cleveland is pretty friendly and inviting. I think it’s because we all know that we are in this together. The collaboration and movement of food businesses coincide with the successfulness of the city. In less than a year of operation, Aaron and Daniell Powell‘s fizzy sweet tea-fermented Kombucha has already made its way from the CCLK to the shelves of Heinen’s, Loop Café, The Root Café and Beet Jar Juice Bar. They credit their relationship with Fresh Fork Market for keeping their pulse on local food, including finding the right ingredients. As they continue to grow, they plan to soon branch out into DIY kits. Just like many others, I was exposed to documentaries like Food Inc. that opened my eyes to the industrial food system. I started out just wanting better for my family and the further I got into the process made me realize I wanted to be an agent of change for other families as well. I believe that not only is the city on the rise, but so is our voice to the system. For us, finding capital was digging deep and putting everything on the line. We have funded everything in house so far, which has made us look at each expense before making it to ensure that what we were buying was absolutely necessary. Cake is the centerpiece for this sweet company helmed by Liz Wienclaw and Caitlin Shea. Together they churn out two or more decadent wedding cakes a week from their space at the CCLK – and that’s in addition to regular vending and catering gigs. Their delicacies reflect their community – they use jam from Abby’s Orchard Kitchen, ham from Saucission and apples from Woolf Farms. What effect do food startups have on Cleveland neighborhoods? Cleveland used to be served by hundreds of small businesses and I think many people are nostalgic for that sort of city life. The small business owners we know are very visible in their neighborhoods and often act as connecters, introducing neighbors to each other. They have a vested interest in what happens on the street in front of their store. Physical infrastructure of the area isn't always great for street level businesses. Narrow sidewalks and little street parking sometimes keeps traffic moving too fast. The many, many layers of bureaucracy can also be problematic. 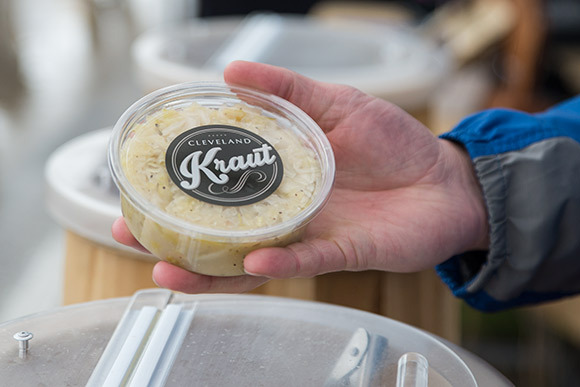 Drew Anderson and Luke Visnic’s sauerkraut creations boasting flavorful names like Gnar Gnar, are made at the CCLK with cabbage from nearby locations such as Rainbow Farms. 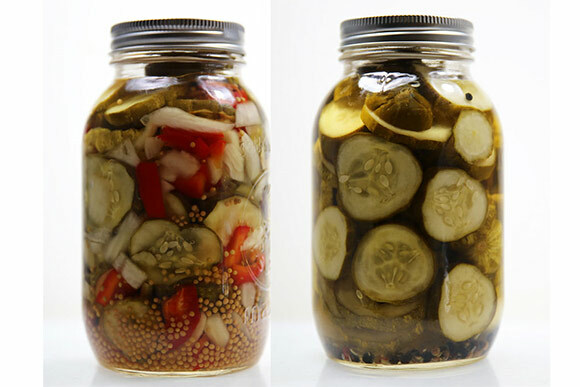 With local hot spots like Spice Kitchen + Bar and Jukebox calling upon their sauerkraut to add a little fermented kick, it’s no surprise they’ve added three part-time employees to their repertoire as they hunt for the perfect permanent space. Our product is something that almost all Clevelanders grew up with or have some familiarity with. And with commercial kitchens popping up and venues to sell like farmers markets and food events, there is opportunity everywhere. People are excited to buy a great product made just down the street, from someone they know and trust. There is a sense of ownership. We will have a concept for a new kraut and then make three to five variations of it each week for about a month and then see what they become. Once we have the top kraut from these trial runs we may make some final tweaks to the recipe, but then it’s off to production and the farmer’s markets for some honest feedback.